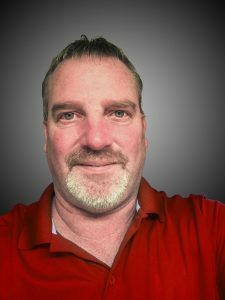 Manac Trailers USA (Manac) is pleased to announce the appointment of Jason Kendrick as its new Regional Sales Manager for the Southwest US. Jason joins Manac with an extensive knowledge and expertise of our industry. Prior to his arrival at Manac, Jason was a sales manager for a large truck and trailer dealership based in Texas and was responsible for overseeing all trailer sales at its multiple locations. Jason’s in-depth knowledge of the trailer industry combined with his numerous years of experience on the trailer dealer side will allow him to not only support our customers but also provide them with valuable insight that is only seldom found in the market. “Jason has the rare quality of having worked both on the dealer and original equipment manufacturer side of our business and this affords him the opportunity to speak from hands-on experience, share those experiences and guide our customers in making the most informed decisions,” adds Tom Ramsden, Vice President Sales and Marketing for Manac. “We look forward to continuing to expand and support our customers with a level of service that is unparalleled in our industry. Jason is based in Tyler, Texas and can be reached at 855.655.8100. Located in Oran, Mo, Manac Trailers USA is a leader in the manufacturing of specialty trailers in America. Manac offers a wide range of vans, flatbeds and specialty trailers such as dumps, low beds, grain hoppers, chassis, chip and logging trailers, all of which are sold under the recognized brands Manac®, CPS®, Darkwing®, UltraPlate® and Ultravan. Manac services the heavy-duty trailer industry for the highway transportation, construction, energy, mining, forestry and agricultural sectors.